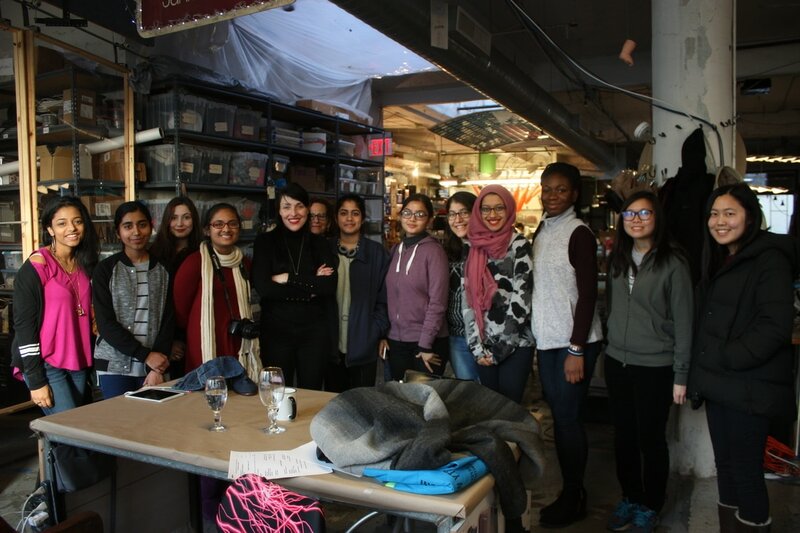 On this day we made two stops in the same eclectic Brooklyn shared workspace building - Andrea Lauer is a fashion, costume, and set designer, as well as a stylist and product creator. 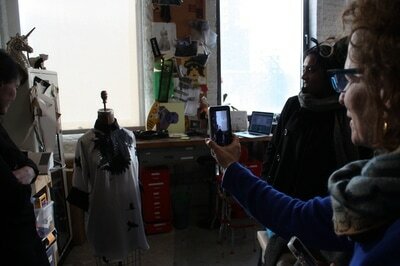 Often incorporating technology into her wearable art, Andrea told us about the projects her company has been involved in. RISEN From the Thread is a creative firm that focuses on the intersection of technology, material science, and the human body. 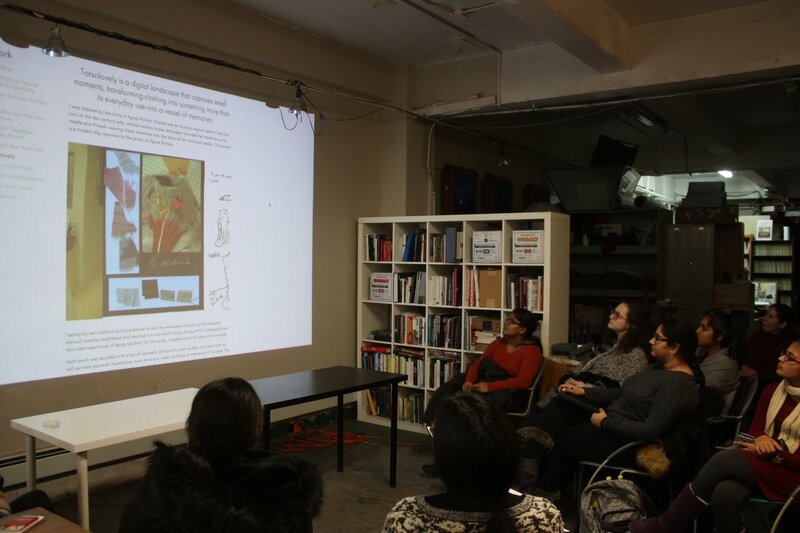 From the London Cultural Olympics to the Whitney Museum groundbreaking ceremony, Andrea shared her story of always taking chances and following her passion in thinking about the body as a medium. How can you create art with real live science? 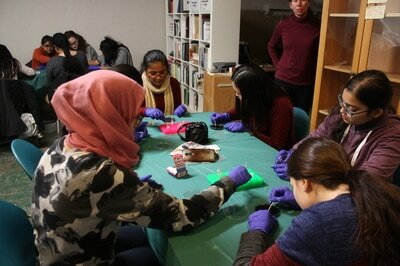 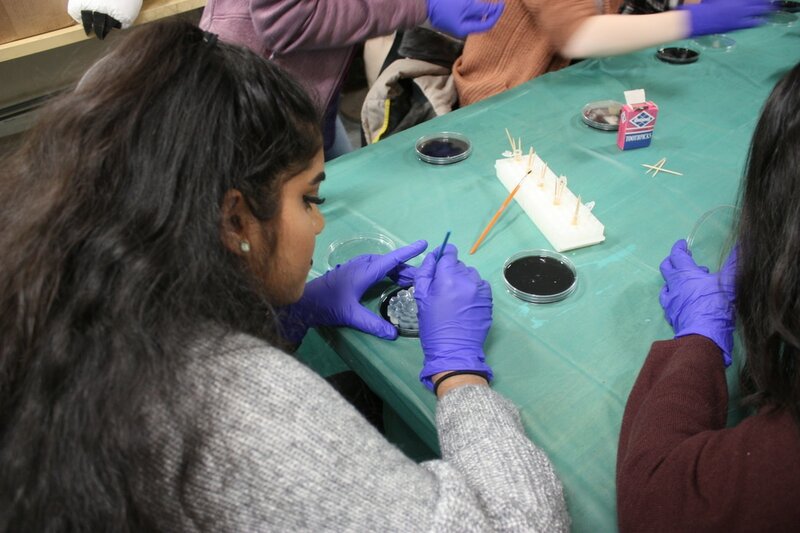 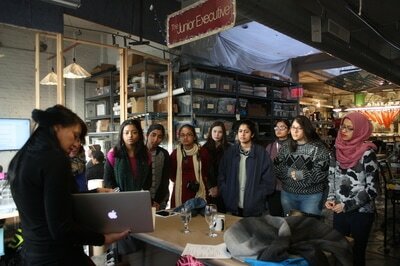 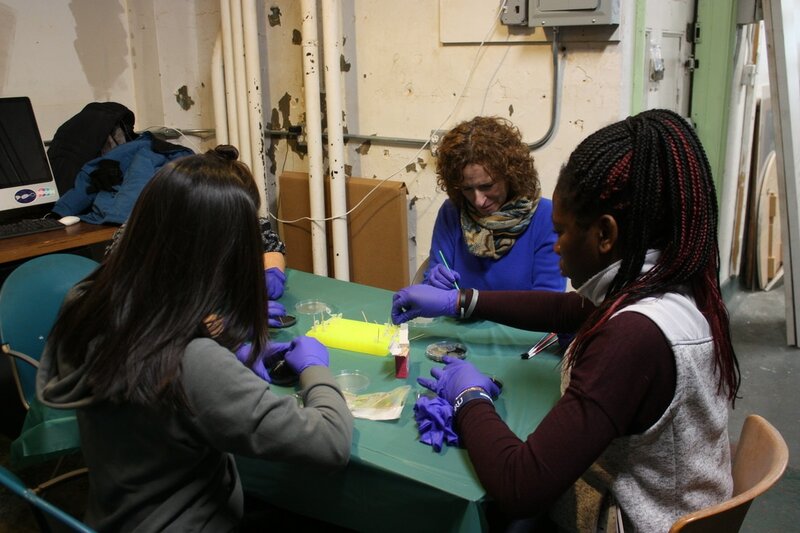 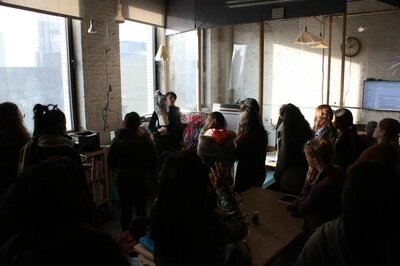 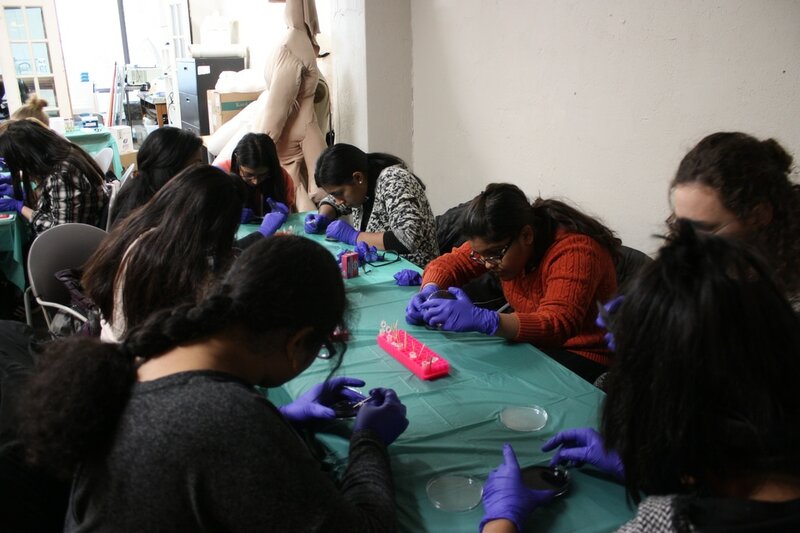 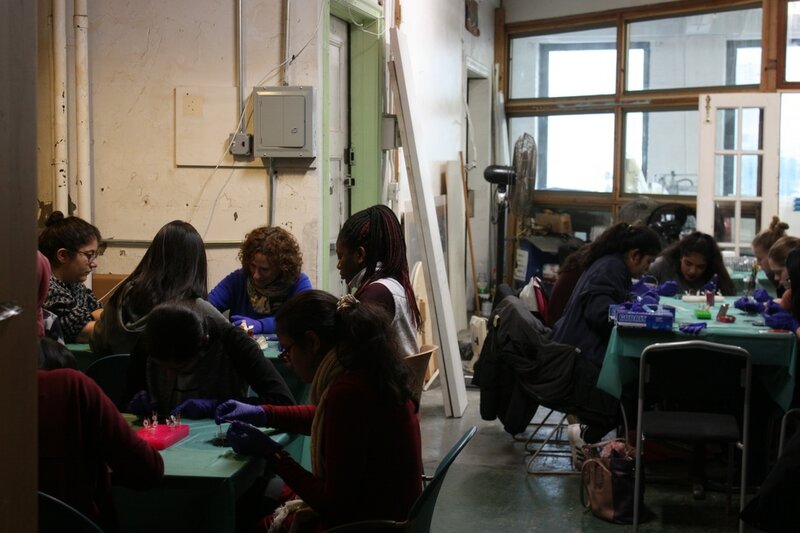 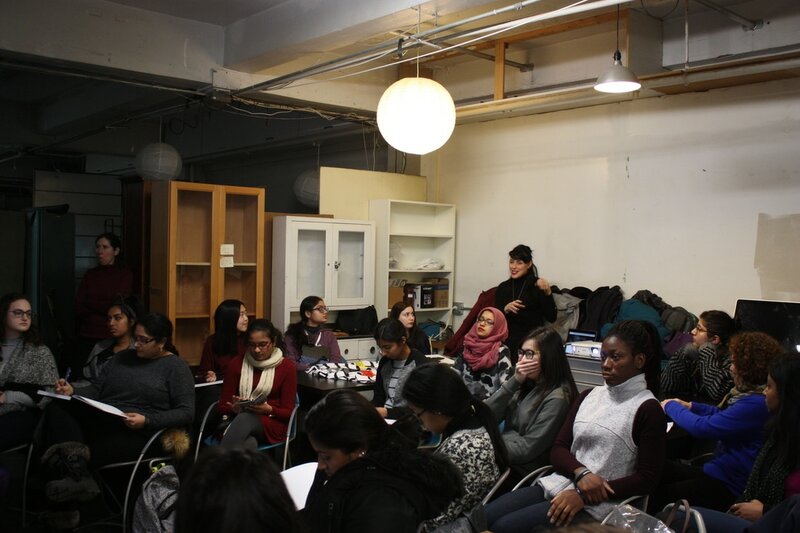 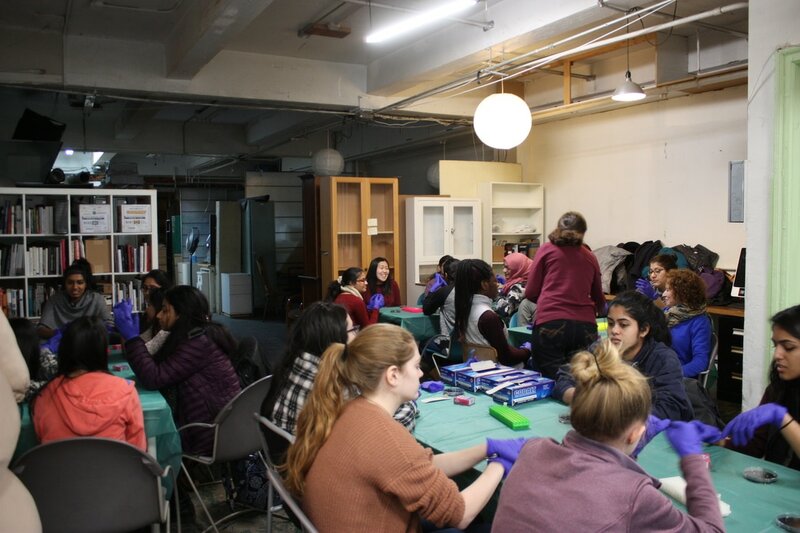 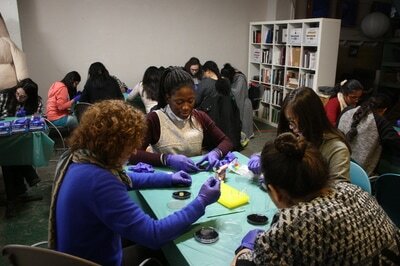 We did it at Genspace, a community do-it-yourself (DIY) biology laboratory. 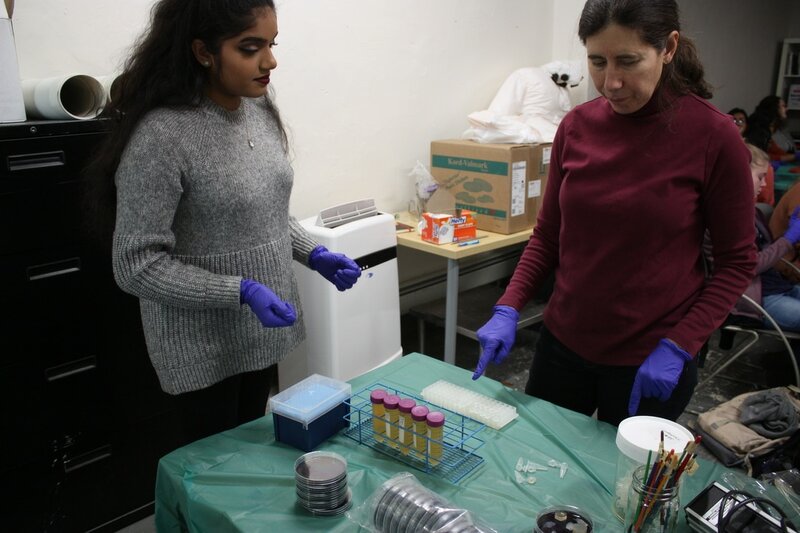 Offering open access of state-of-the-art facilities to the public, this lab is a unique asset to the citizen science and artistic communities. 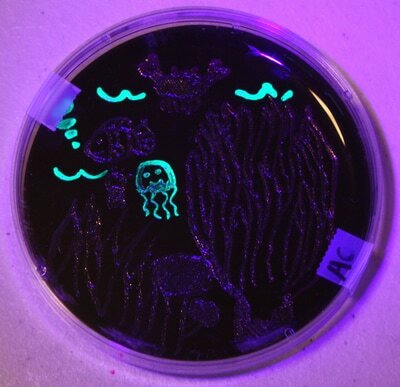 Our class visited to 'paint with bacteria'. 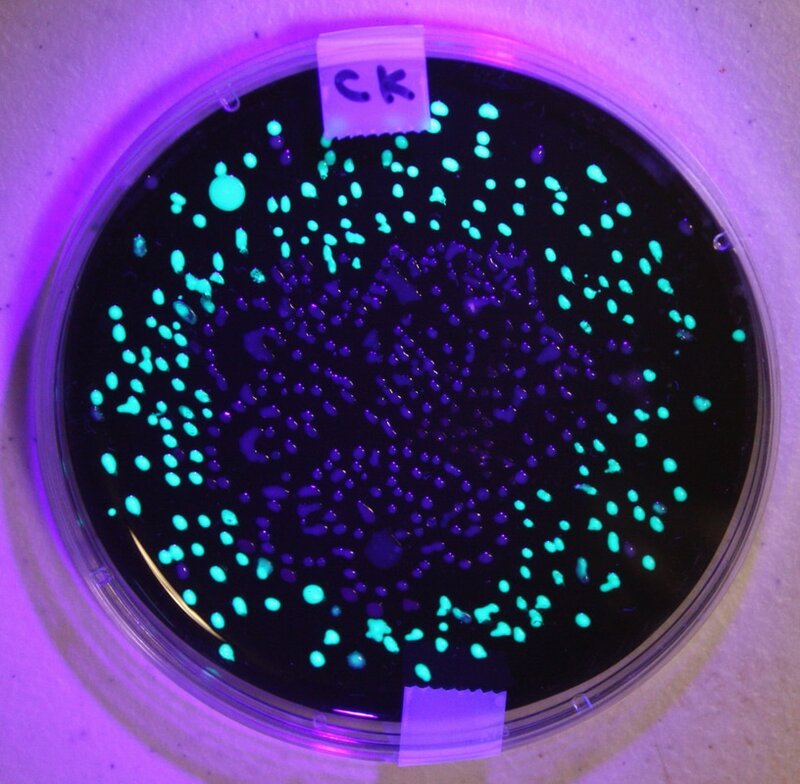 Using an inert form of e. coli, this bacteria has been modified to fluoresce under a black light. 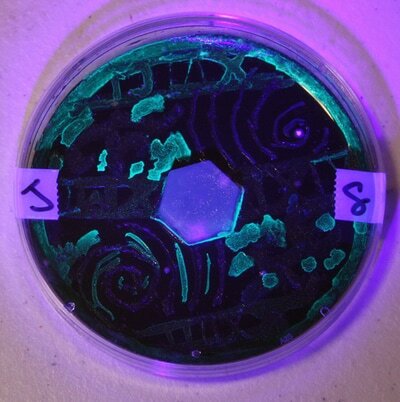 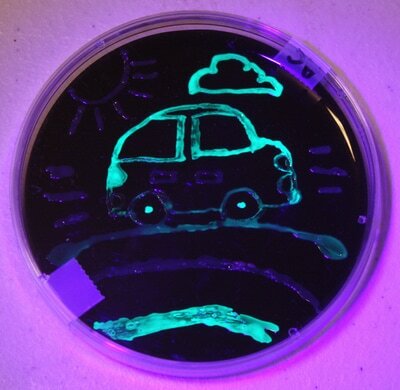 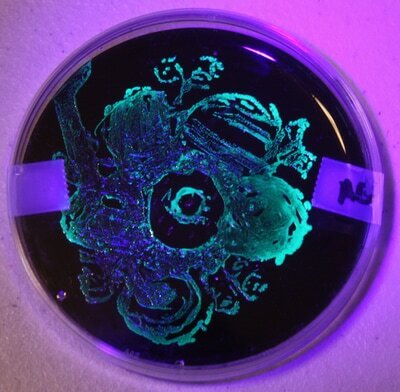 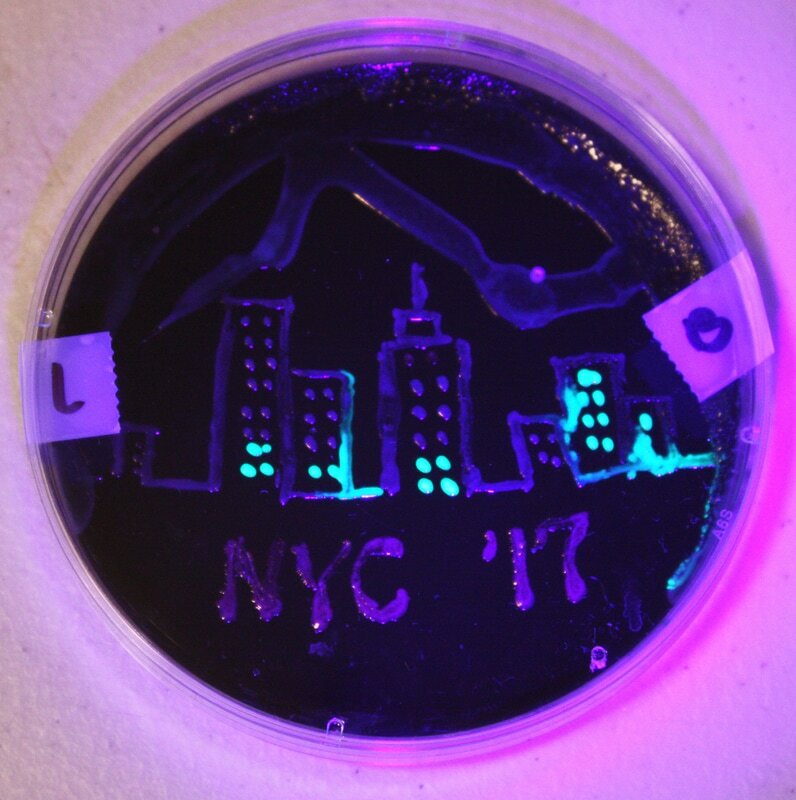 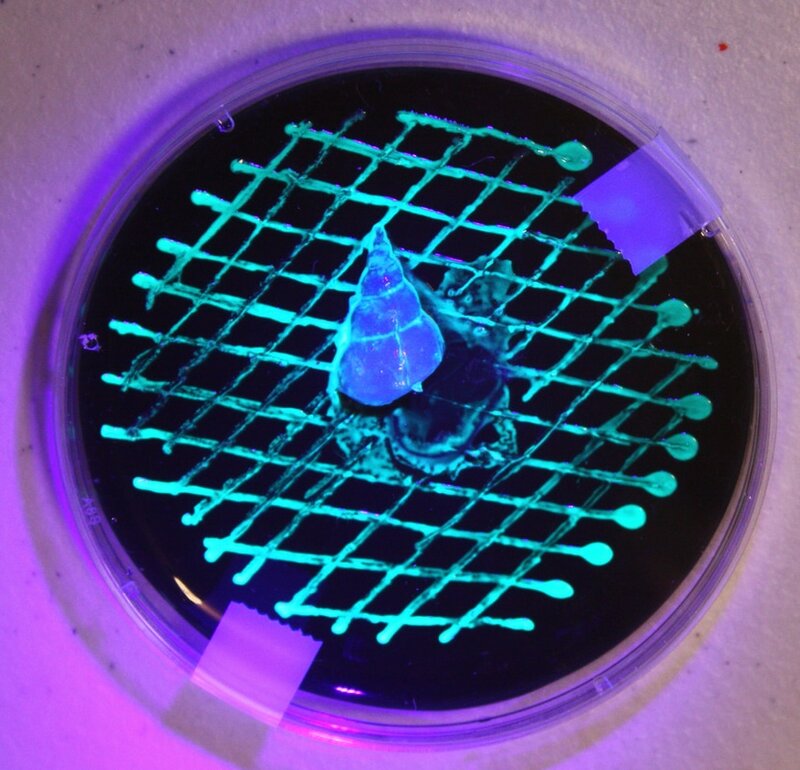 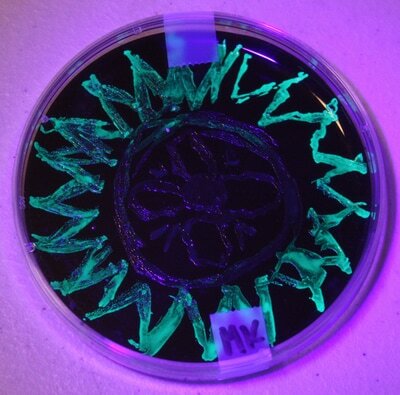 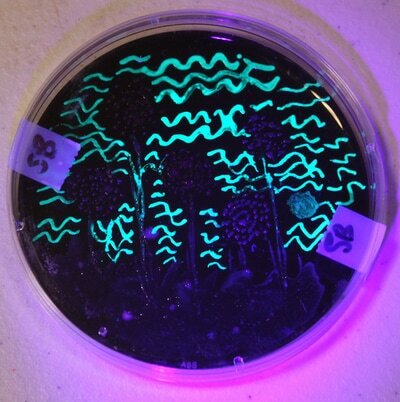 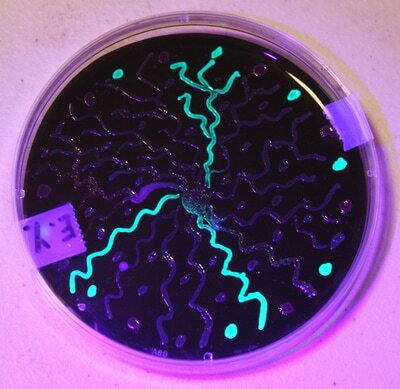 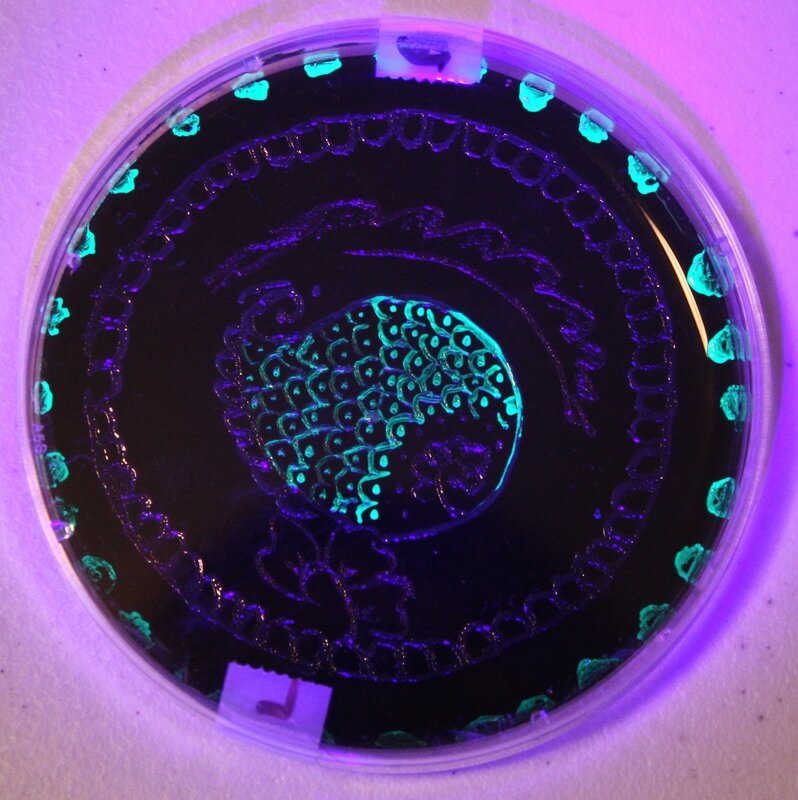 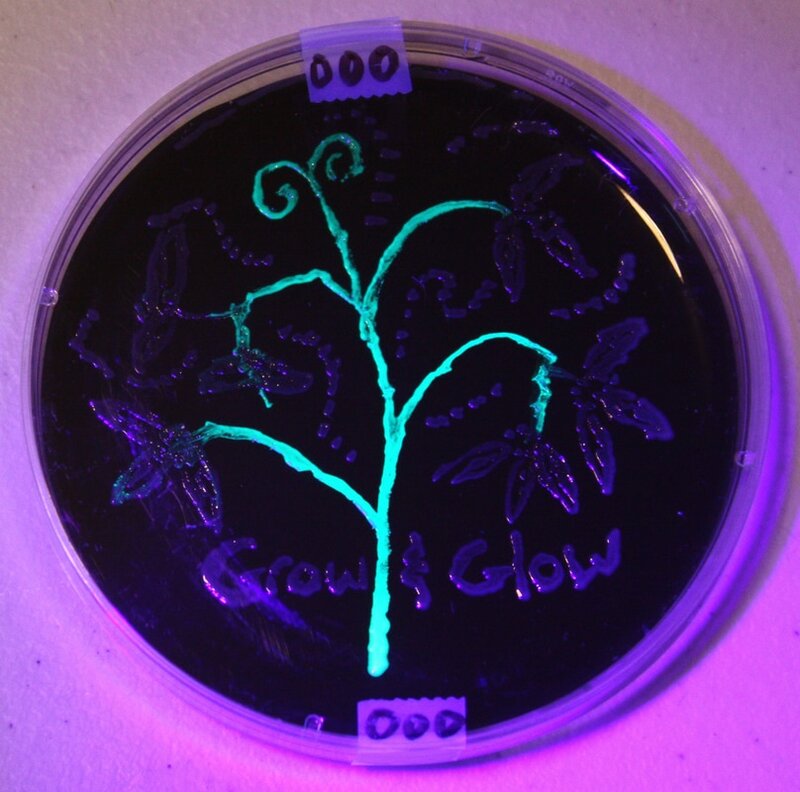 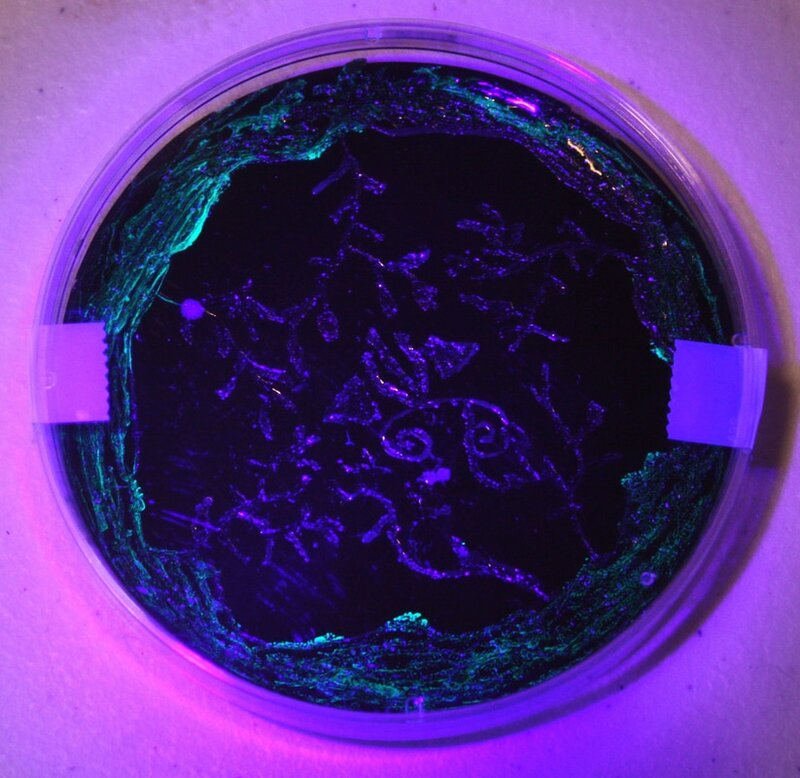 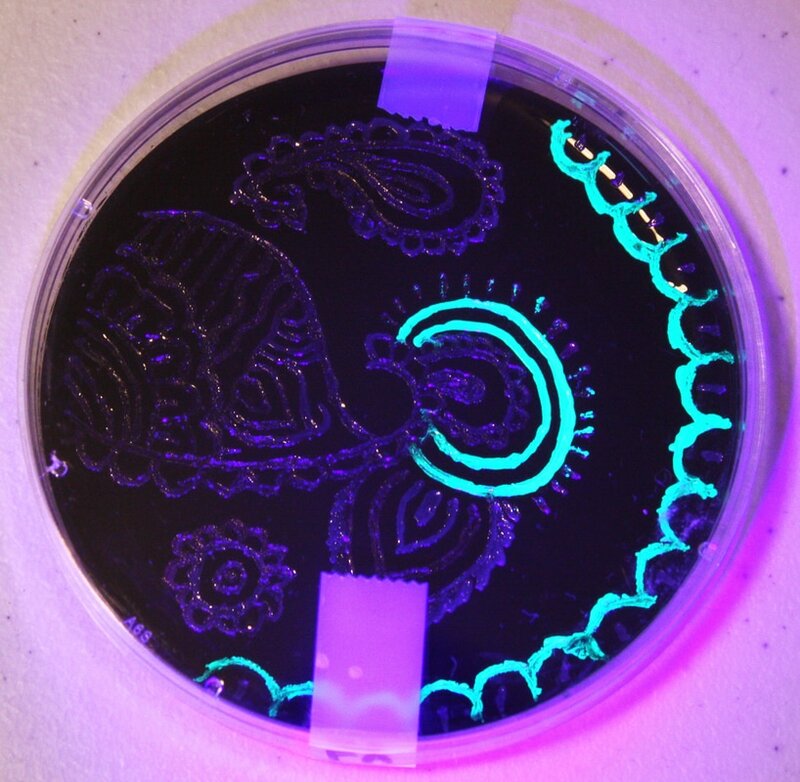 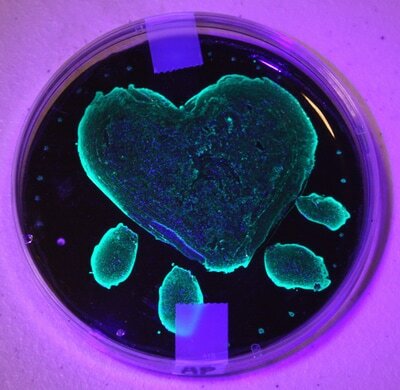 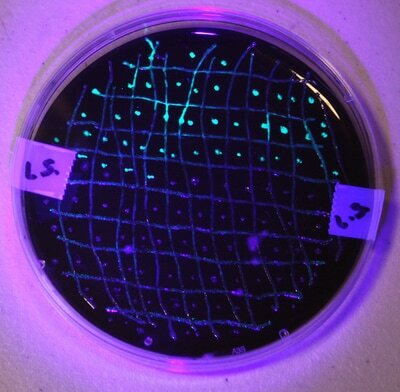 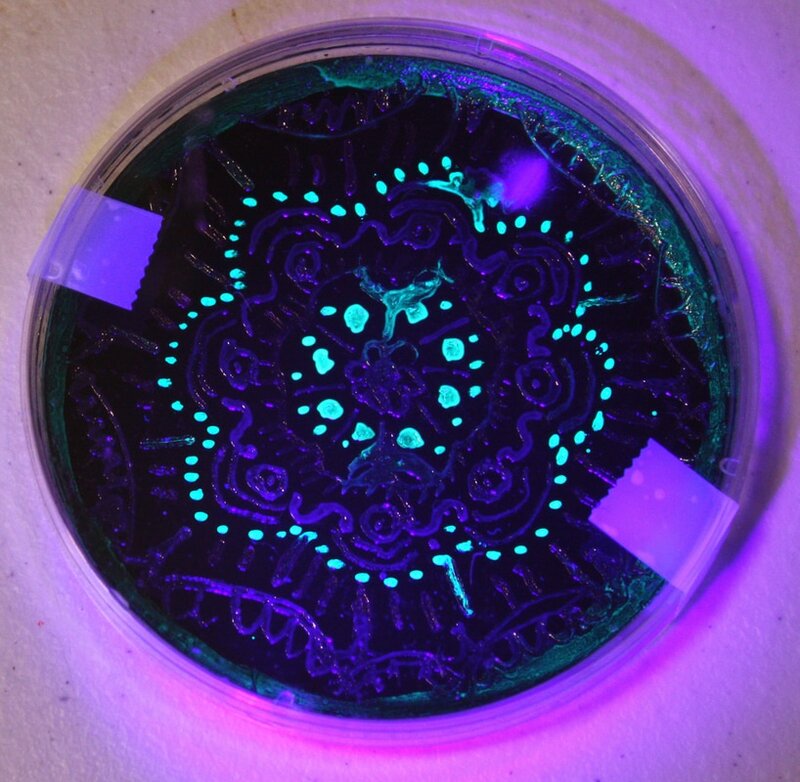 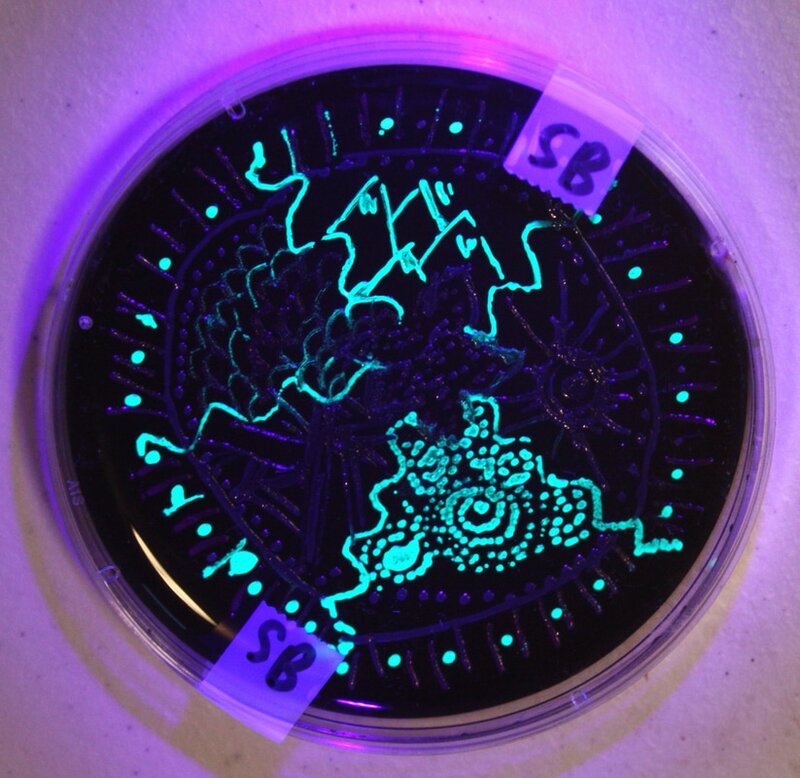 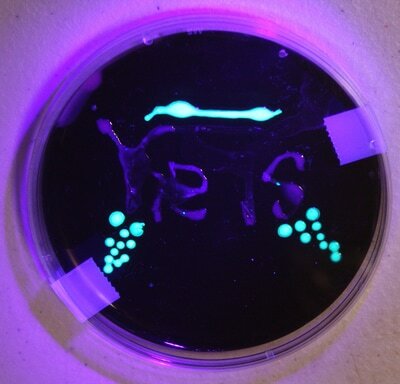 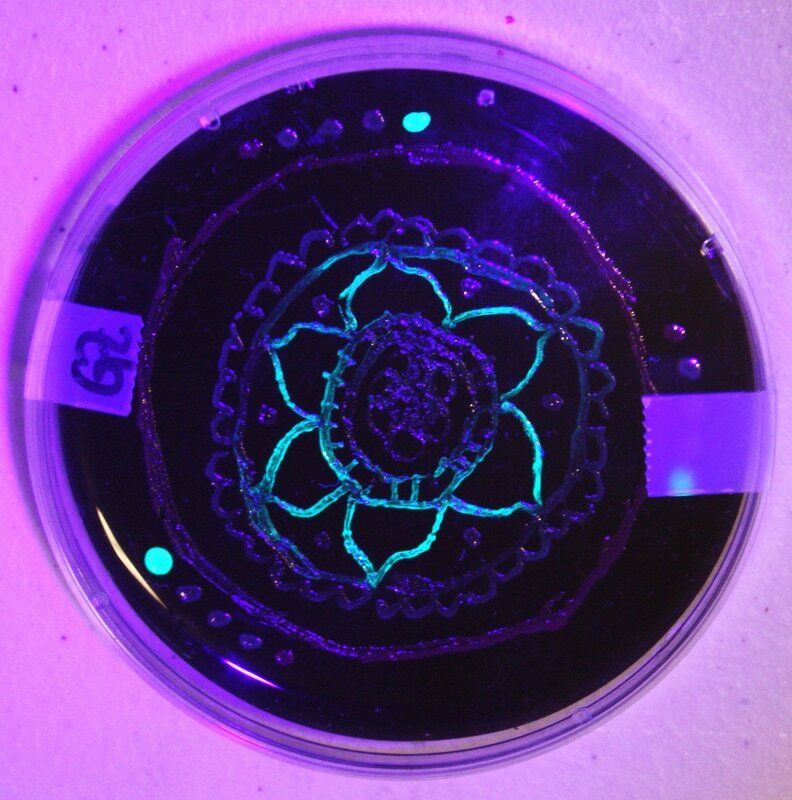 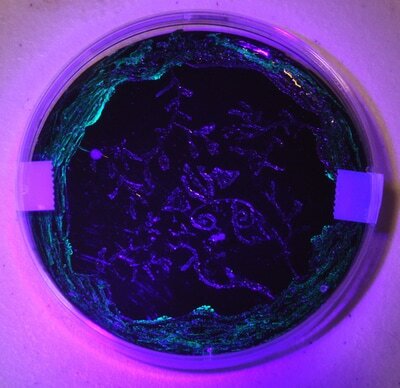 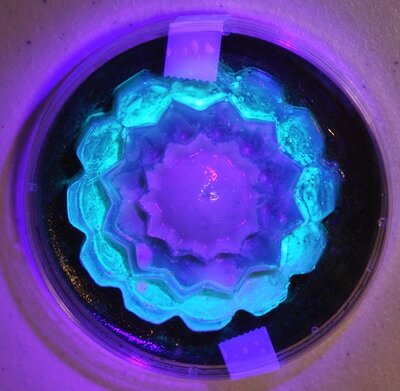 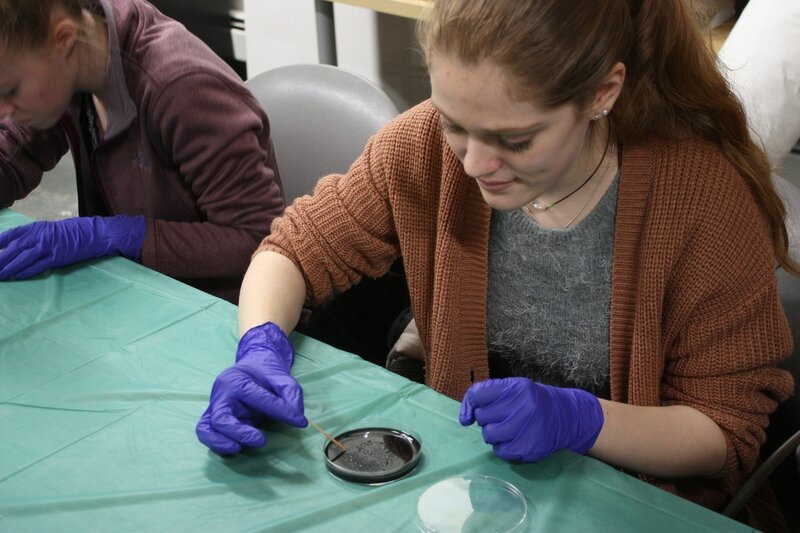 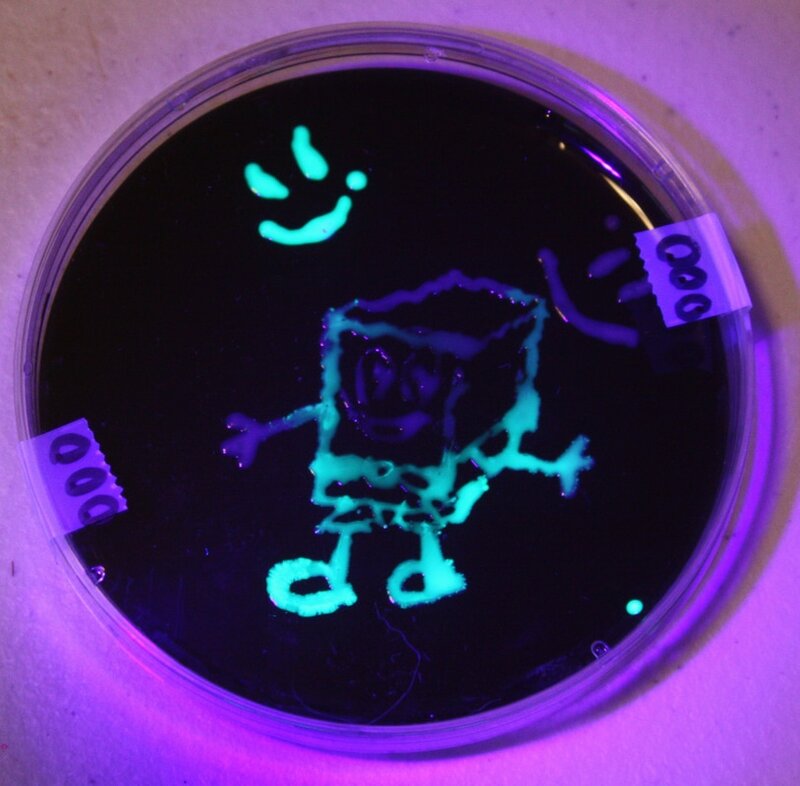 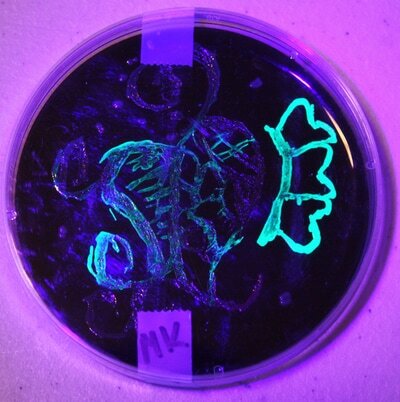 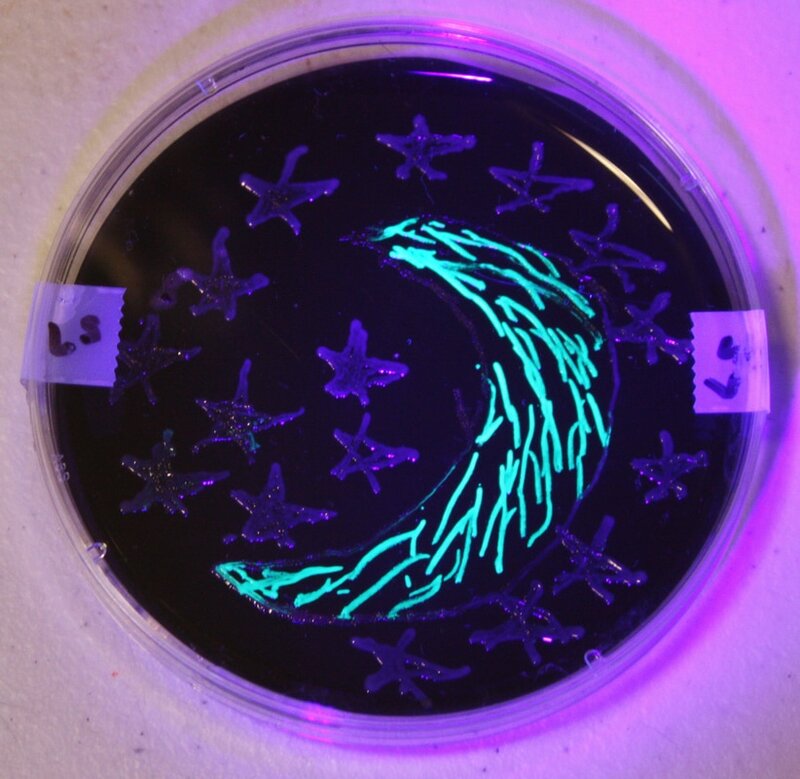 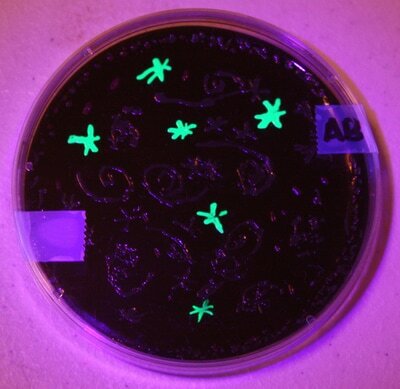 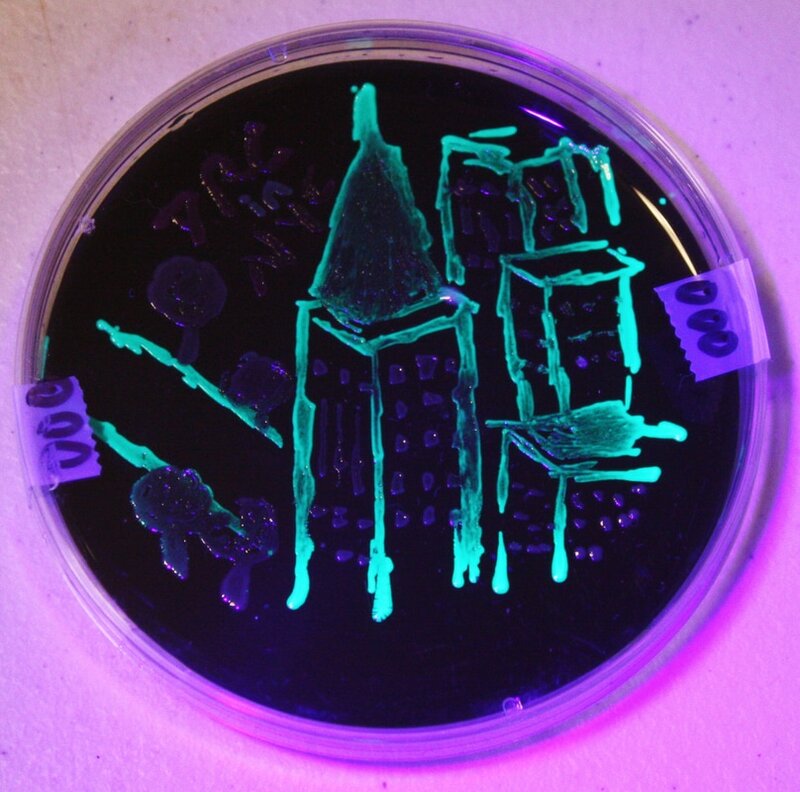 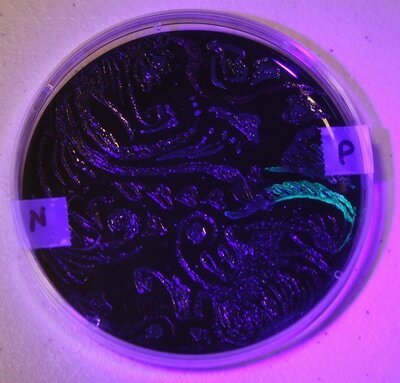 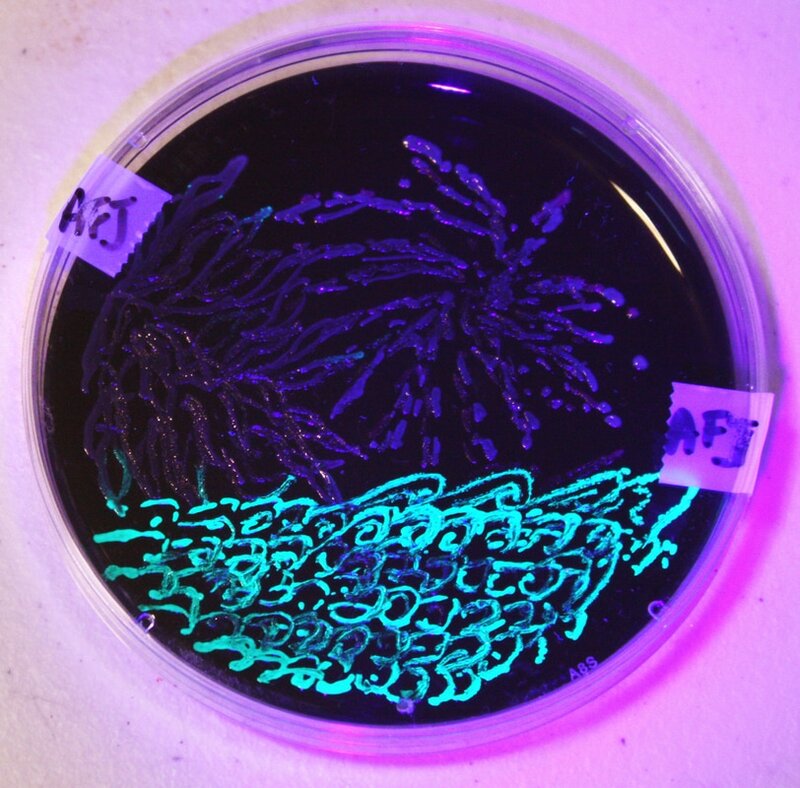 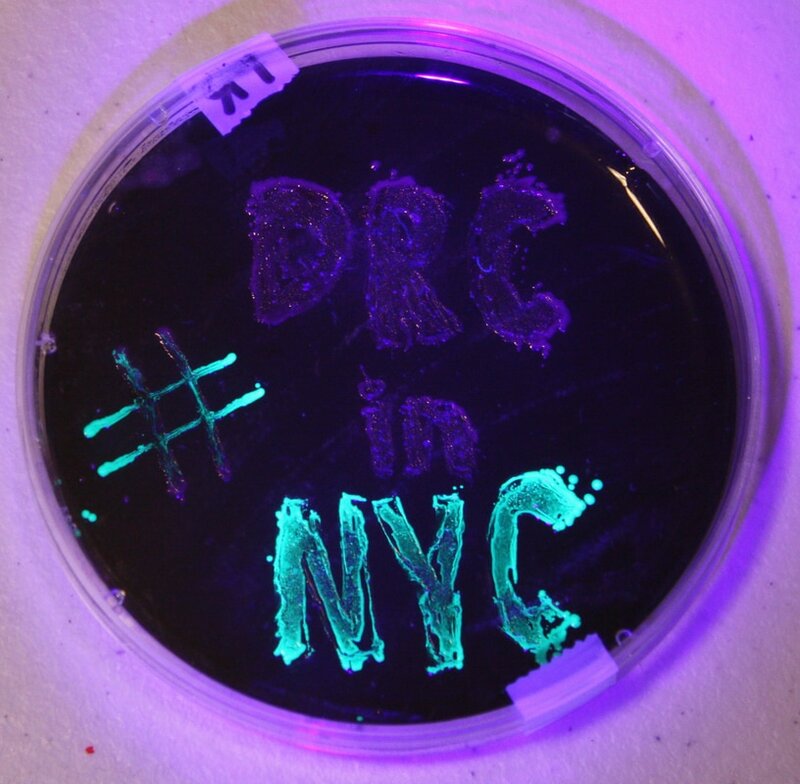 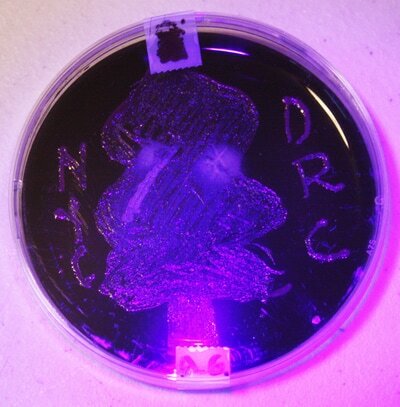 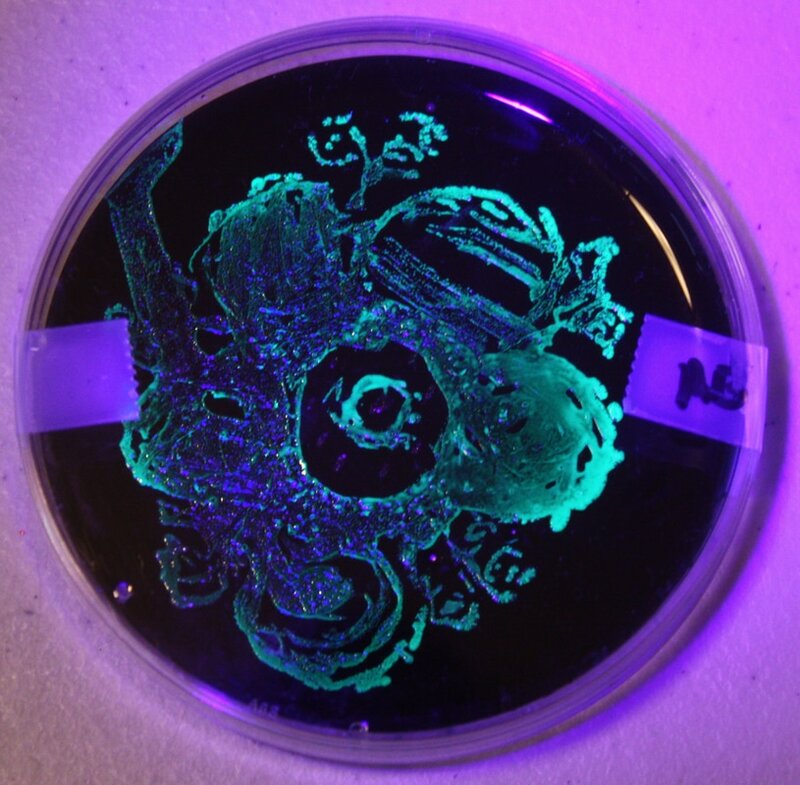 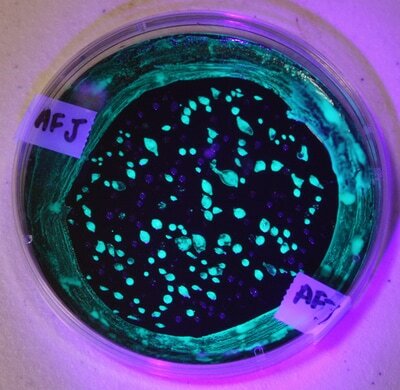 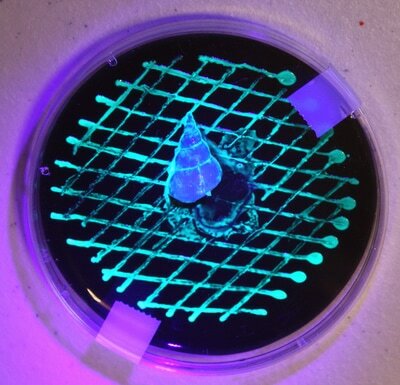 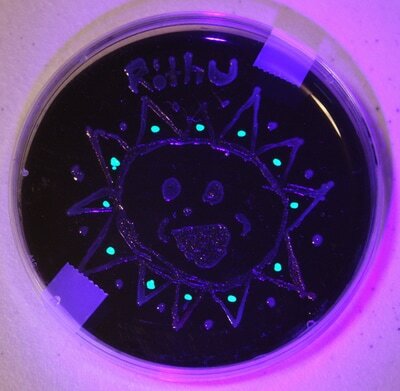 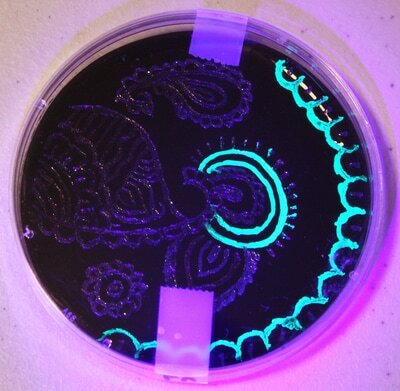 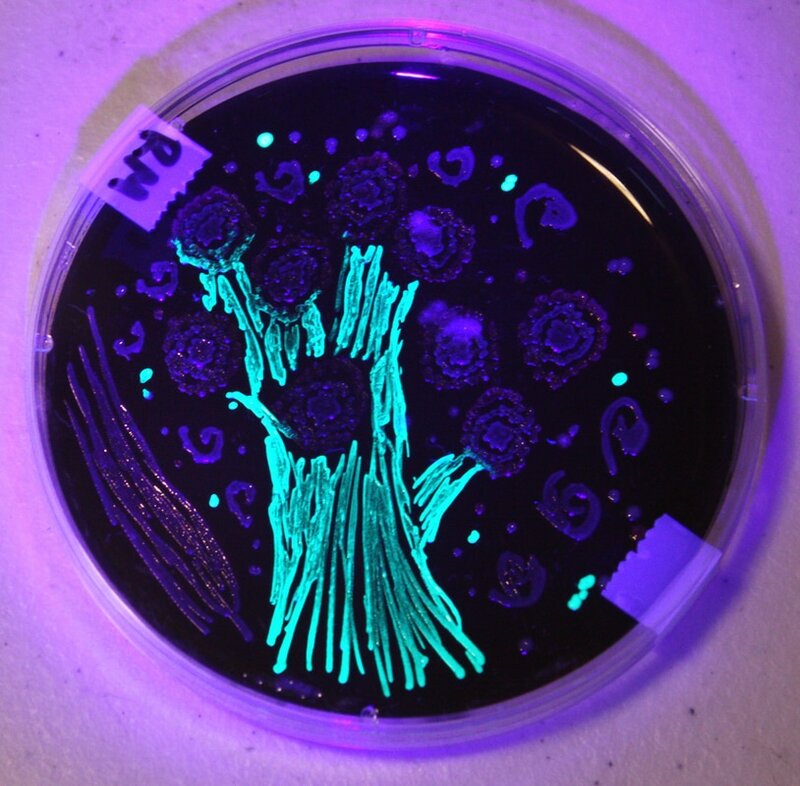 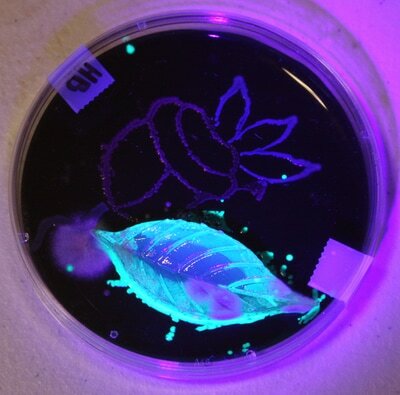 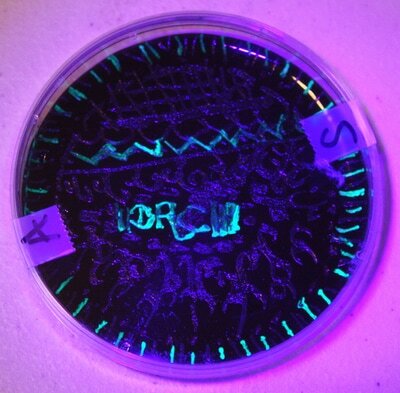 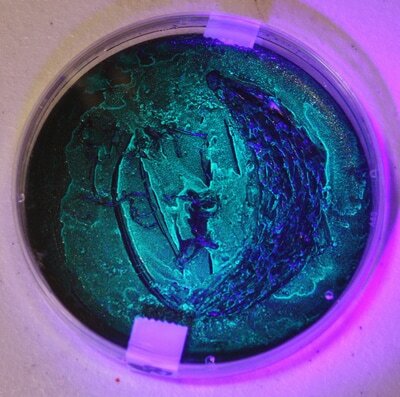 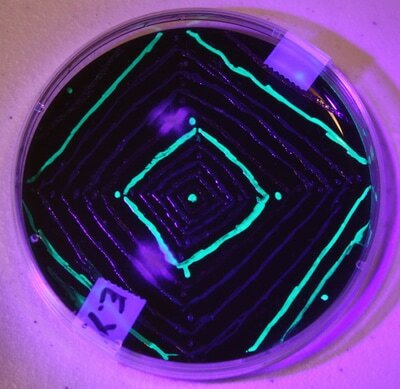 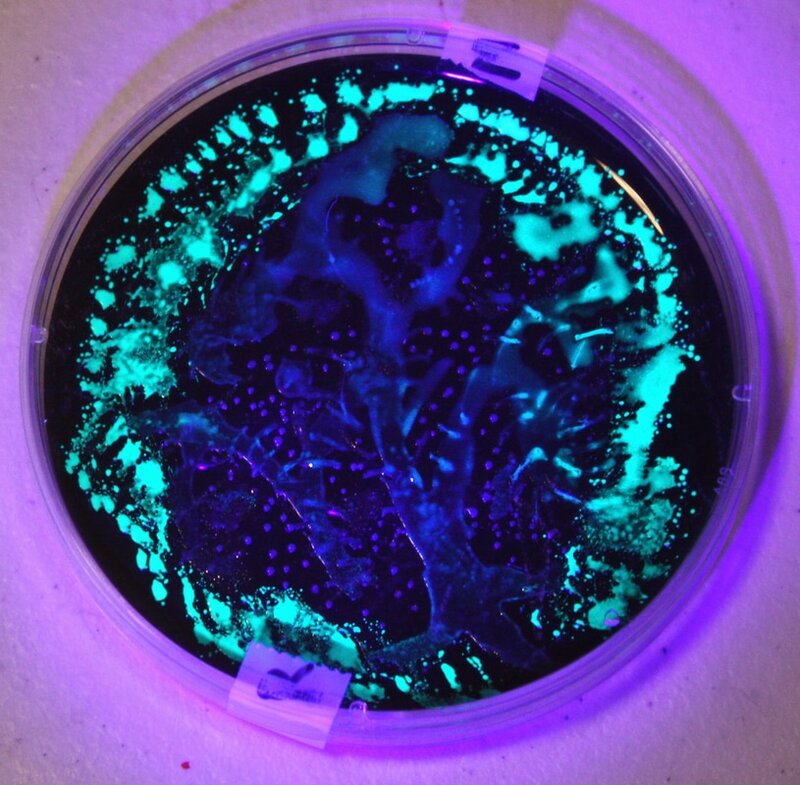 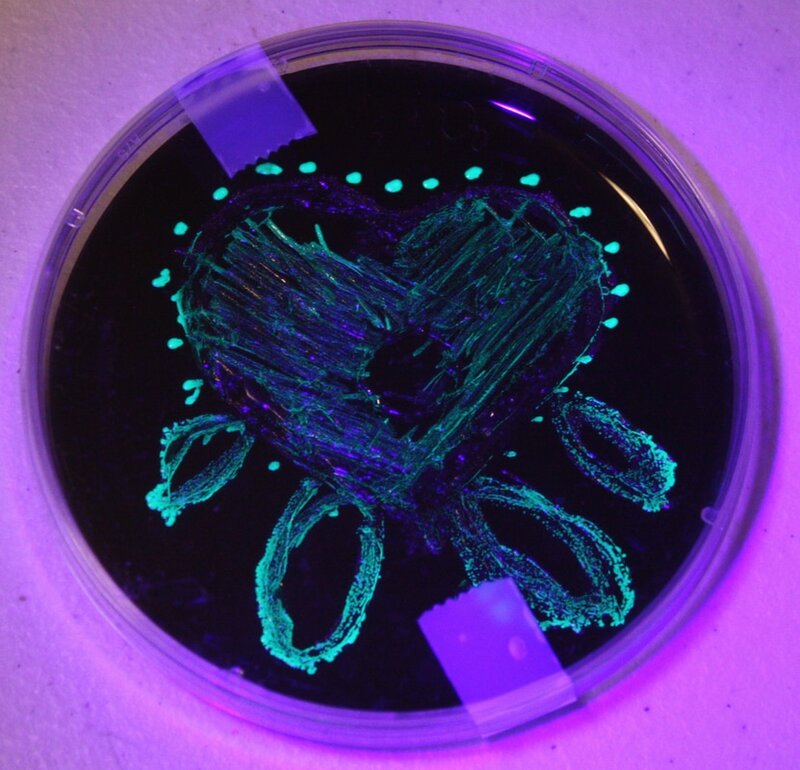 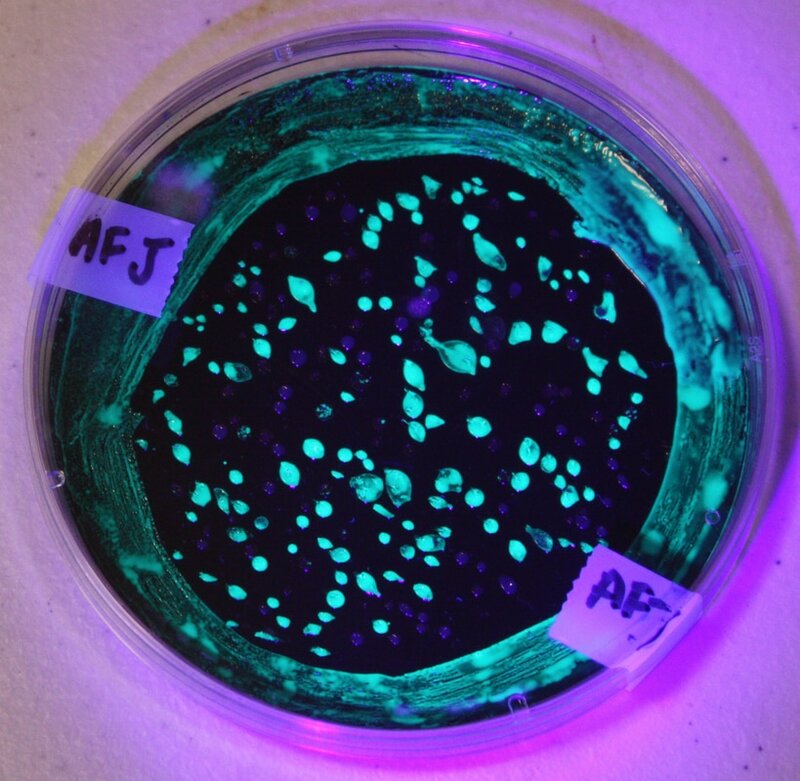 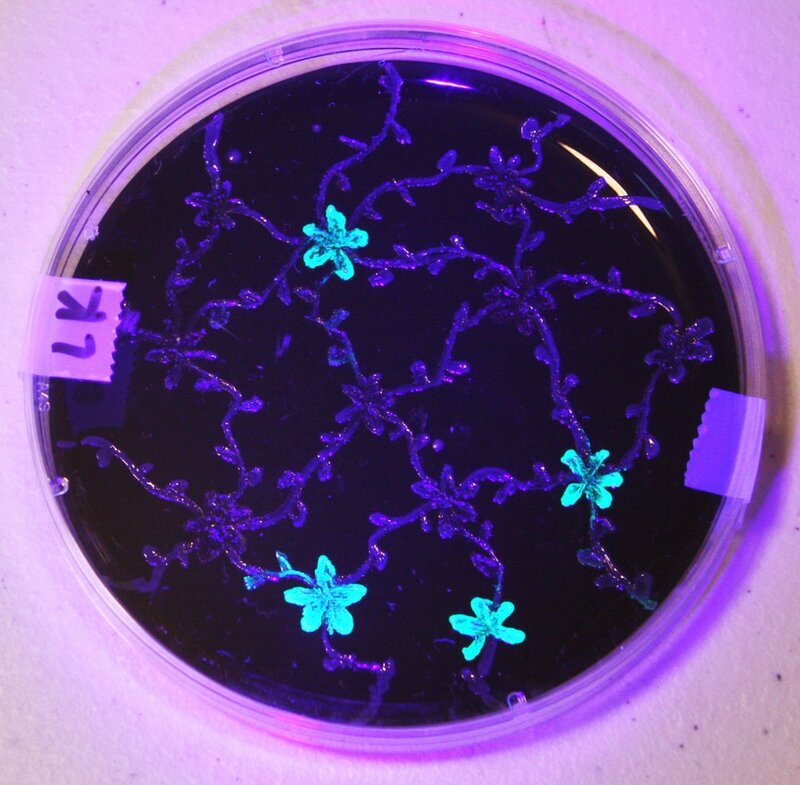 While this fluorescence technique was developed to enable science, it can also be used to create Petri dish art. Students created multiple fluorescent artworks, which after a few days of growing, were ready to photograph (as seen below).